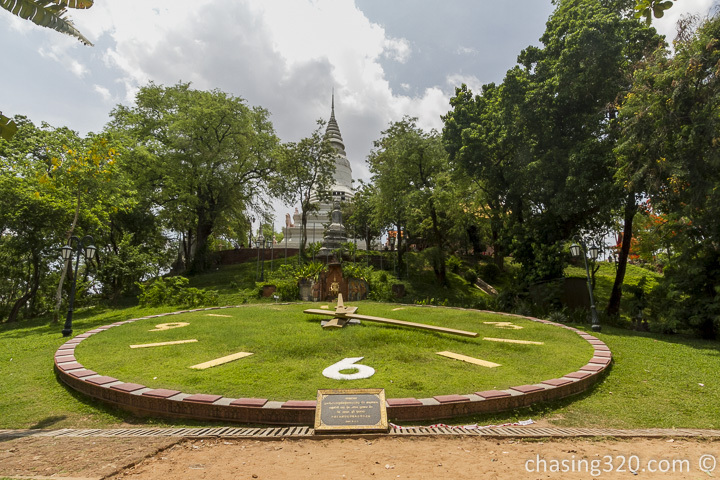 One of the stops on our day tour brought us to a hill where it was said to be the birthplace of Phnom Penh. Legend has it that a wealthy widow called Penh found four bronze Buddha statues and decided to construct a shrine on this artificial hill. There was a large temple at the top of the hill and you will be paying some tourist fee either at the base or on the top. Keep your receipt and show it as proof. Somehow I feel all these entrance fees is a quick con by locals. I just have a suspicion. A quick round and we were heading down. The large clock at the base of the hill was the star attraction. Snap a photo.